The United Nations held its first-ever Ocean Conference to renew member nations' commitment to combatting rising sea levels, pollution, and harmful fishing practices for the protection of world's waterways. The conference ended on Friday with the adoption by consensus of a '14-point Call for Action' to conserve and sustainably use oceans, seas and marine resources for sustainable development. Unseeded Jelena Ostapenko of Latvia beat Simona Halep 4-6, 6-4, 6-3 at Roland Garros on Sunday to win the 2017 French Open Women’s Singles crown and her first ever Grand Slam title. Ostapenko, 20, is the first unseeded woman to win the French Open since Britain's Margaret Scriven in 1933. Ostapenko is also the first player of Latvian origin - men or women - to win a Grand Slam event. This is Ostapenko’s eighth career major. The International Olympic Committee (IOC) yesterday approved new events for the 2020 Tokyo Games, including a number of mixed-gender competitions. The additions include a mixed team event for judo. Each team will consist of 3 men and 3 women, all representing different weight classes. Team events have already taken place at the judo world championships, but never on a mixed-gender basis. Table Tennis will also get a mixed doubles competition. The event was featured in the recent world championships in Germany. A Japanese pair won gold. Three-on-three basketball is an example of the IOC's focus on youth and urban sports. The 10-minute match on a half-sized court is known for its speed. The International Basketball Federation adopted it as an official discipline with common rules in 2007, to make it popular around the world. The IOC has recommended awarding the hosting rights for both the 2024 and 2028 Games at the same time. 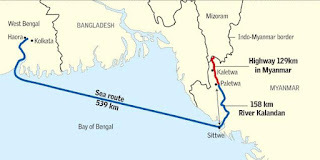 The Narendra Modi government is finally on course to completing the $484-million Kaladan multi-modal transport projects in Myanmar that will offer connectivity to Mizoram in India. Kaladan was the first major project taken up by India in Myanmar. According to sources, a ₹1,600-crore contract has been awarded for building 109-km road connecting Paletwa river terminal to Zorinpui in Mizoram border. The construction is expected to start after the monsoon in October. India completed the construction of Sittwe port, at the estuary of Kaladan river, in trouble-prone Rakhine state of Myanmar, last year, one year behind schedule. Construction of the river terminal 158 km upstream and dredging of the river to ensure navigability are in the final stages. At the Indian side, extension of the Aizawl-Saiha National Highway by 90 km to the international border at Zorinpui, at the southern tip of Mizoram, is almost over. 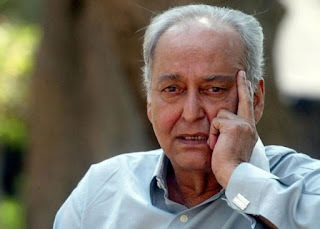 Soumitra Chatterjee has been chosen for France’s highest civilian award, the coveted Legion of Honour. The award comes to the octogenarian Bengali screen legend exactly 30 years after Satyajit Ray got the honour. Ray was awarded the Legion of Honour by then French President Francois Mitterrand in 1987.